Home » burlington , business , card game , games , hypermind , reviews , role-playing game , triad area » HyperMind: Great gaming store serves the Triad area well! HyperMind: Great gaming store serves the Triad area well! A couple of weeks ago I had to go to Burlington, North Carolina, about thirty minutes away from home here in Reidsville, on a business errand. I wound up with some time to kill and thought I'd drive around my old stompin' grounds, since I lived there for a few years while a student at Elon. The west end of town in particular has grown a lot recently, what with a new Target Supercenter and a Best Buy and a new movie cinema and all kinds of other good places. With a name like that, I couldn't resist going in. It turns out that HyperMind, now at its second and larger location since first opening in 2006, is a game store. And to the best of my recollection, there hasn't been a place like this serving the area since Cosmic Castle on High Point Road in Greensboro, which closed up a number of years ago. 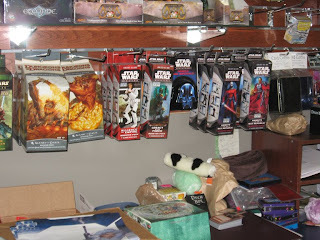 I used to go to Cosmic Castle a lot to buy Star Wars Role-Playing Game source books: even though I never played the game itself, I was one of those Star Wars geeks that bought plenty of the background supplements. I'm glad to have now found HyperMind, 'cuz this store has Star Wars RPG stuff out the wazoo! Or is Dungeons & Dragons - which for years I've called "Bushes & Orcs" since players hardly ever go adventuring into a dungeon or fight a dragon anymore these days - more your speed? HyperMind is amply stocked with the latest Dungeons & Dragons products, from the basic sets on to the advanced campaign settings. Need more of those fancy dice that Dungeons & Dragons and a lot of other pen-and-paper RPGs employ? HyperMind has plenty of those, too! 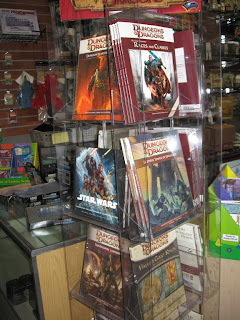 Just about every role-playing game that I've heard of (and plenty that I never knew existed) can be found at HyperMind. 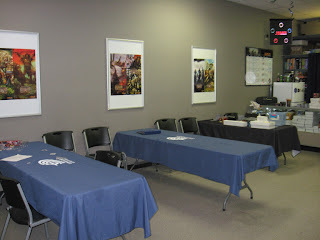 Are you a fan of the HeroClix system games, like Marvel and DC Universe? HyperMind has tons of that also. In fact, when I was there I saw a coupl'a full racks of the DC Universe Arkham Asylum packs, which word on the street is that they're selling out all over the place. HyperMind also carry the Star Wars Miniatures game, which I also haven't had the opportunity to play yet but lots of people tell me it's a very enjoyable pastime. HyperMind also sells Magic: The Gathering and a host of other collectible card games. And if they don't have it in the store, the friendly and knowledgeable sales staff will be more than happy to order it for you, usually delivered in less than a week. And HyperMind doesn't just provide the games either: toward the back of the store is a large gaming area, set up with lots of tables and chairs. 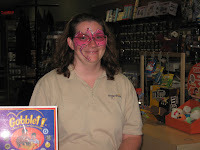 The store is open on several weeknights for people to come in and play their favorite games, be it a card game like Magic: The Gathering or role-playing. On top of all that fun stuff, HyperMind also features a wide selection of educational games and toys... and I was pleasantly surprised to find some items in the store that I had no idea were still being produced these days, like chemistry sets. And if you're looking for a puzzle to spend some nice leisurely time with or as a gift for someone, HyperMind has you covered there as well. So what did I get while I was there? 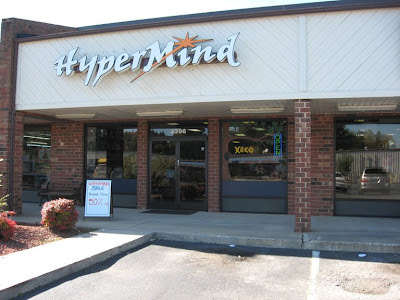 Family-owned and operated, HyperMind (click here for its website) is located at 3396 South Church Street in Burlington, North Carolina. It's practically across the street from West End Cinema, among that group of stores if you're familiar with the Burlington area. I would absolutely recommend checking out HyperMind if you're from anywhere like Raleigh and Winston-Salem and all points in-between. I don't know if there's ever been a place quite like this ever around here: HyperMind is well worth giving your patronage! I have been in Hypermind before. It is lightyears better than Cosmic Castle was. The store is clean and the people are very nice. Thank you for writing about it. According to the stats today a lot of people are finding out about HyperMind 'cuz of this post. Which I'm glad to hopefully spin some business towards their way 'cuz Lord knows, in this time of economic downturn, it matters to help every good business out there. Unfortunately throughout today this post has been hit with some nastier comments and after tracing the routing it looks like it's coming from the Berean Baptist Church people in Winston-Salem, who are still in a tizzy about some comments that I and others have made about the recent election. Yeah, I know it's y'all doing it, Jeff Baity and Ron Baity and Lord only knows who else. And you should be ashamed of yourselves for how you're carrying on. Your style of bullying like this doesn't do any favors for the cause of God. So I'm asking you to please stop it, because I'm just going to keep deleting your comments and now everyone knows that it's you anyway. This blog exists to focus attention on things that I find to be interesting, thought-provoking and/or just downright awesome, and HyperMind definitely qualifies. Bravo Chris! Count me as a soon to be customer as well! I might check that place out. I live in Smithfield, used to live in Clayton. 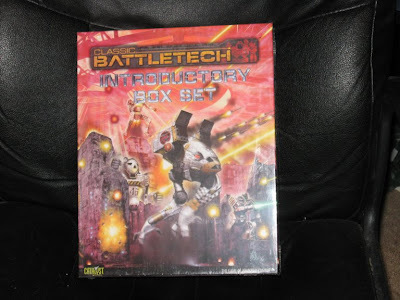 Battletech is best game evah! I may have to accept your challenge for a game someday Chris. I usually play as Draconis Combine. Some bad news: Topps is closing down WizKids, which it bought in 2003. 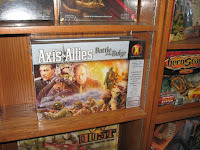 WizKids is the company that makes the HeroClix and MechWarrior: Dark Age games using its patented "combat dial" system. Word I'm hearing is that they're trying to figure out how to keep the game lines going without noticeable interruption. I never played any HeroClix games but they do have a particularly fierce fanbase. Let's hope something gets worked out. First and foremost, let's hope and pray for the best for all of those who are now unemployed from WizKids, especially during this time of year. Back in the day I came up with a mercenary company for playing in 3025-3030ish era BattleTech. I dubbed it "The Black Addams", and I created a crazy backstory for the group. I tried to play it as if it was a merc company with a dark sense of humor (like its inspiration, The Addams Family). It was my own way of both playing in this rich space-opera setting, and staying true to my own bizarre personality :-P And more often than not I did pretty well in the game, too! Thanks for finding and writing about this. I remember Cosmic Castle and did miss it. Now I will know to go to Hypermind! Glad to see we're still being properly served around here. I was always disappointed when the CC closed, even though it was kind of a crappy store. I'll have to check this out now.